Aaron and Christine believe partner acrobatics is a powerful tool for self discovery and empowerment through creative play, dedicated training and healthy partnership. Aaron is a student of many disciplines including yoga, gymnastics, many traditions of acrobatics. He is a certified level 2 AcroYoga teacher, is a co-founder of Acro Revolution and is the founder and director of Lift School of Acrobatics. Christine has been fascinated by movement and the arts from a very early age. She has a background in dance, tumbling, circus, yoga and is a Lead teacher & director at Lift School of Acrobatics, RYT 200 and has a BA in Dance. 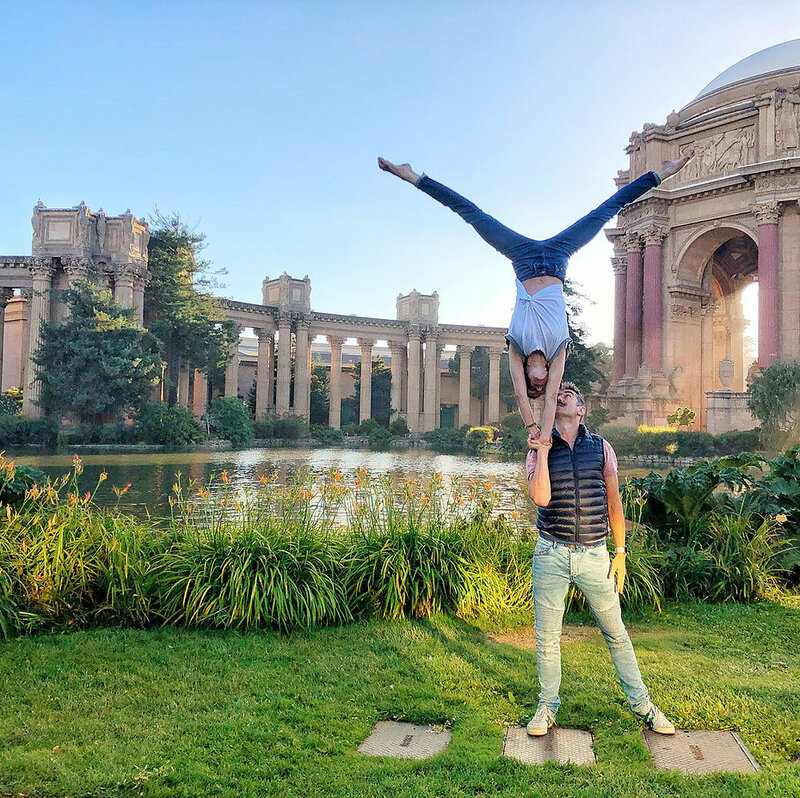 Aaron & Christine value their studentship as well as their roles as teachers, and have trained with some of the most skilled acrobatics coaches in the world! They are excited to share their practice as an avenue for fun, creative, and expressive lifestyle. ​What is this workshop about? Over the course of the two days, we will focus on physical preparation and learning the technique for dynamic skills. We will be looking at tempo, pitching, standing in hands, hand to hand and different mounts and dismounts. Students should be ready to work patiently and pay attention to the details required for these challenging moves.